This is personal. I feel the need to say that upfront. I’ve been a bit out of the loop. Life happens. And I’ve had a busy one this year. New house. New state. New family member. And with that briefly-mentioned 5-letter word – ‘state’ – comes all that life in a new state has to offer: new friends. new neighbors. new favorite restaurants, places to hang and teams to cheer for. Notice how I didn’t mention ‘new job’? That’s right. No new job. Still don’t have one. And that’s ok. I believe in fate. It will happen when it’s supposed to happen. In the meantime I’ve been brushing up on my social media skills, and with that comes an updated Twitter profile. As mentioned in this article on Mashable, ‘Twitter now offers a Facebook-Timeline like cover display for main profile pages‘. I always like a challenge, and saw this as an opportunity to be ahead of the rest. It was a chance to get back in the rat race and keep my social media skills fine-tuned. 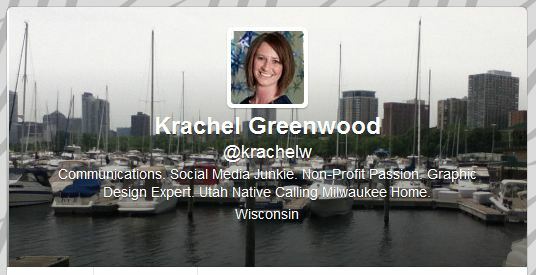 After all, my ‘bio‘ says I’m a social media junkie, so I thought this was a great place to start. Not to mention, I now have something in common with Ryan Seacrest and Al Roker. I kinda like it. What do you think?